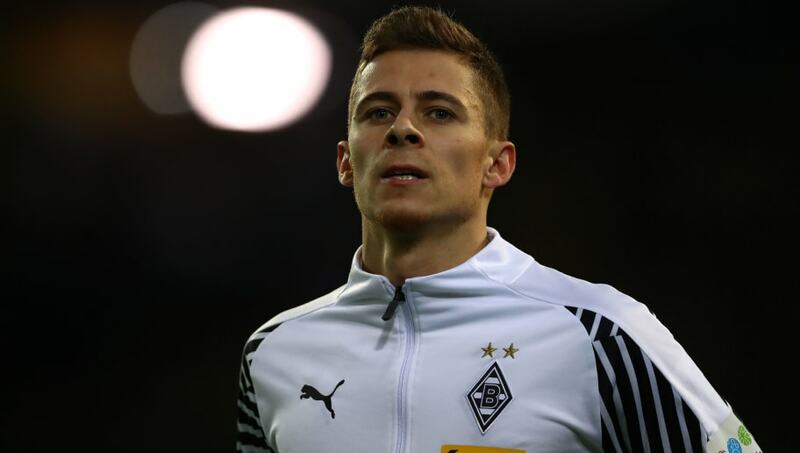 ​Borussia Mönchengladbach winger Thorgan Hazard has ruled out the possibility of leaving during the January transfer window, insisting that his focus remains with his current club at least until the end of the season when he will reassess his options. The Belgium international is having a standout season in the league this year which has been catching the attention of Borussia Dortmund and Bayern Munich, as well as Bundesliga aficionado Jürgen Klopp at Liverpool. The 25-year-old, who is the younger brother of Chelsea's Eden Hazard, understands that he's at the centre of transfer speculation this season, but he insists that his "head is at Borussia" and will delay talks over his future until the summer. "[Gladbach's sporting director] Max Eberl and I spoke before the winter break and I confirmed that the only important thing for me right now is that I can help our team here to be successful," Hazard told the club's official website. "Max knows that my head is here at Borussia and I am fully concentrated on my job here. I am not considering a transfer right now. "I cannot say what will happen after the end of this season. I may possibly extend my contract as I’m very happy here and family are also settled. Max and I will speak about this when it is the right time." If recent reports in Germany are to be believed then Hazard looks set to join Borussia Dortmund during the summer transfer window, where he will come in as a direct replacement for soon-to-be Chelsea star Christian Pulisic. However, Bayern Munich are also touting the Belgian winger, while Liverpool have also been linked with bringing Hazard back to the Premier League to act as an understudy to Mohamed Salah.